With the help of Verificare, you can read scanned OMR Sheet within three clicks, for the scanning of OMR sheets you can use any normal ADF scanner. 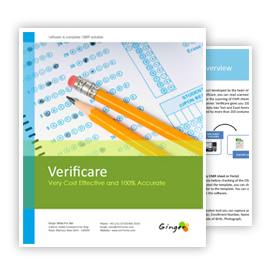 Verificare gives you 100% accurate result and export data into Text and Excel formats. Verificare is used and trusted by more than 200 costumers in India.